iH8sn0w has just updated the standalone jailbreak tool p0sixspwn to 1.0.8 for Mac and Windows to add support for iOS 6.1.6. Apple had released iOS 6.1.6 along with iOS 7.0.6 for iPhone 3GS and iPod touch 4G to fix the critical SSL bug. It has been possible to perform an untethered jailbreak on iOS 6.1.6, but it was quite a lengthy process as users first had to perform a tethered jailbreak using Redsn0w, and then convert the tethered jailbreak into an untethered one using the p0sixspwn package available on Cydia. p0sixspwn 1.0.8 should make it a lot easier for users to perform an untethered jailbreak on their iOS devices running iOS 6.1.6. iH8sn0w has also noted that posixspwn 1.0.8 also fixes iTunes 11.1+ crashes. 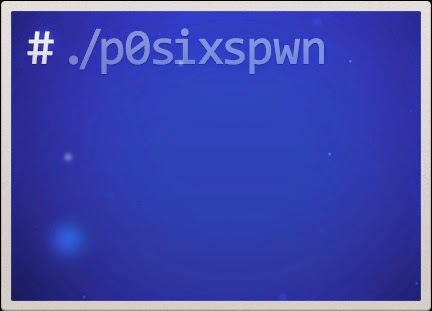 You can download the latest version of p0sixpwn from the following link. Let us know how it goes in the comments section. Check our detailed step-by-step guide to find out how to jailbreak your iPhone, iPad or iPod touch on iOS 6.1.6, iOS 6.1.5, iOS 6.1.4 or iOS 6.1.3 using p0sixspwn jailbreak. Meanwhile, we continue to wait for the untethered jailbreak for iOS 7.1.1. Several hackers have successfully jailbroken iOS 7.1.1, and pod2g of the evad3rs dev team, hackers behind the evasi0n7 jailbreak has confirmed that he is working on a jailbreak for iOS 7.1., but they’re yet to release it to the public.